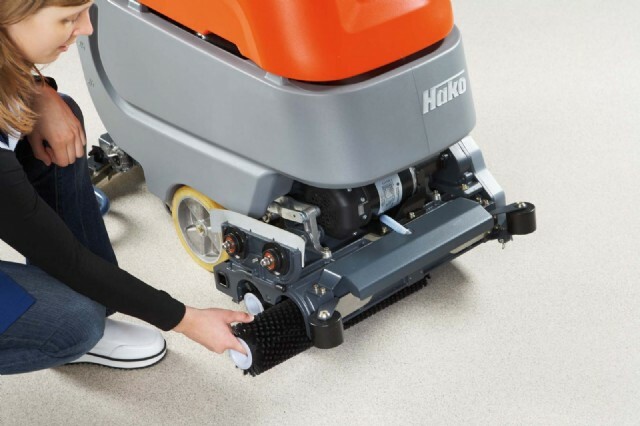 For the quick and easy cleaning of smaller and medium-sized areas. Manoeuvrable and compact. Optimum visibility of the area to be cleaned. Made-to-measure to meet your requirements. A choice of two versions available. A maintenance-free battery package guarantees long running times. Fitted as standard with on-board battery charger – plug it into any power point for charging. Area performance up to 2,200sq metres/hr. 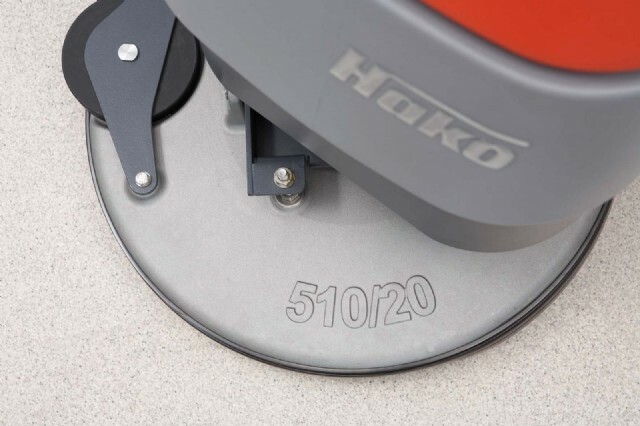 Comes standard with patented Hako Aqua Control System.